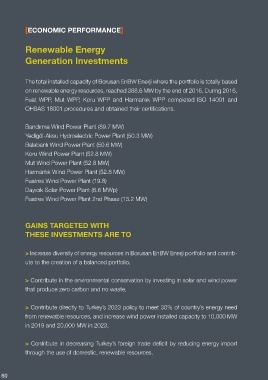 > Increase diversity of energy resources in Borusan EnBW Enerji portfolio and contrib-                                                    supported Dayıcık Village Primary School and students in various ways. through the use of domestic, renewable resources. homes will be met from renewable resources annually.